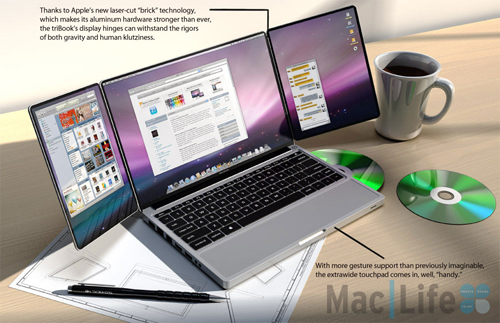 With the much anticipated unveiling of Apple’s new tablet, dubbed the iPad, I thought we would take a look at some other apple related concept designs that have sprung up across the web. 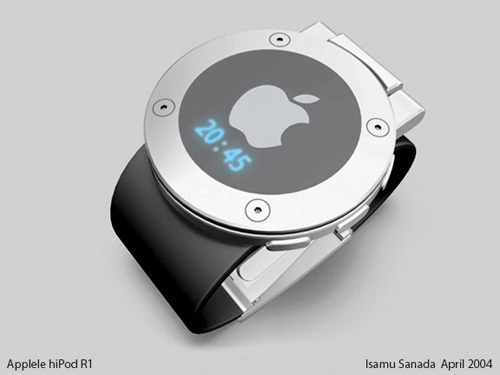 Apple is famous for being on the forefront of breakthrough tech designs that often live up to their hype upon their release. 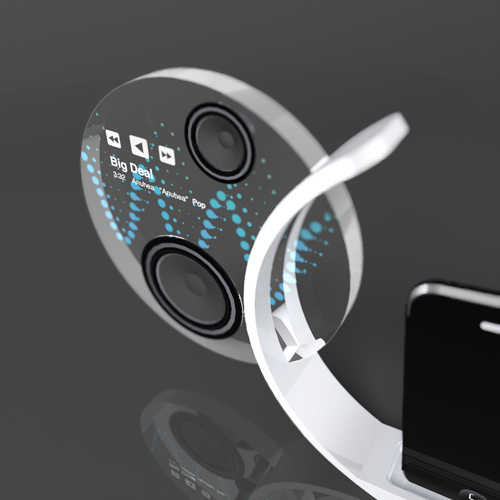 In this post we will take a look at several different concept designs for computers, iPods, iPhones and some accessory items. 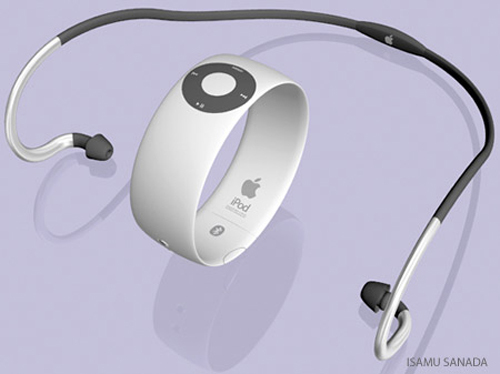 Since we can’t physically hold the iPad yet (as of the publish date of this article), we can at least see what some designers have dreamt up in this collection of 20 Creative Apple Concept Designs. 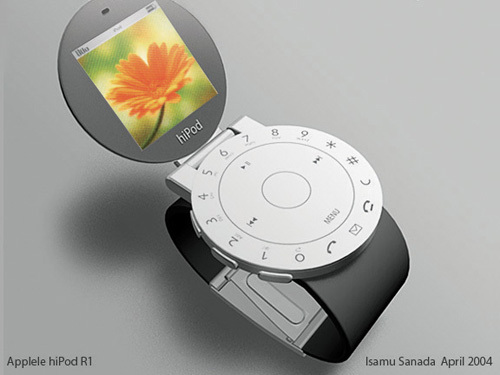 Features an OLED flexible screen that can be used in several different positions. 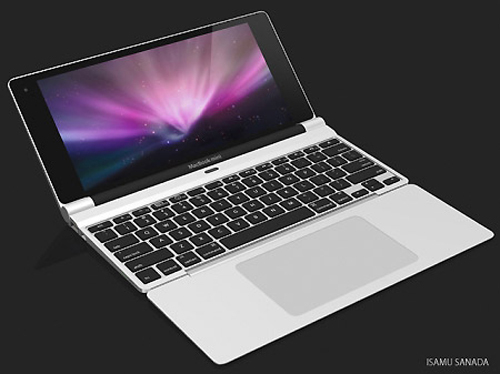 The spine-like bendable center, labeled iSpine, contains no dead space and is actually one single 13″ screen. 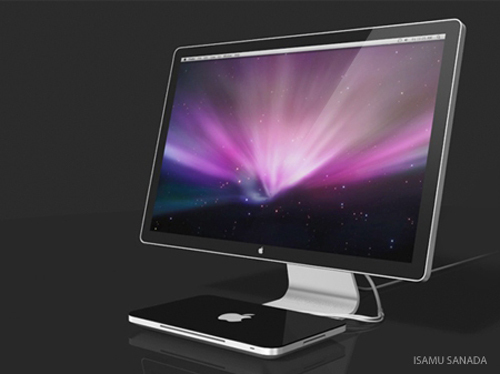 A more slim version of the Mac Mini, this concept contains all of the features of the original packed into a much more sleek design. 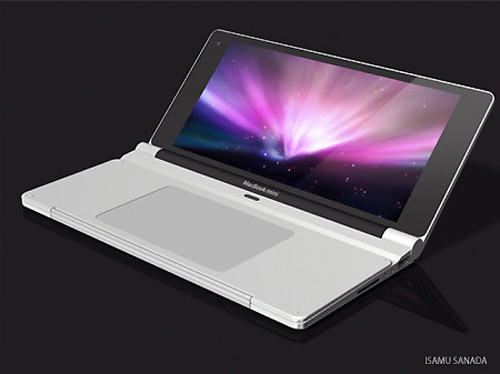 When the TriBook’s lid is closed, the two side screens tuck in neatly, sandwiched between the main display and the keyboard/touchpad. 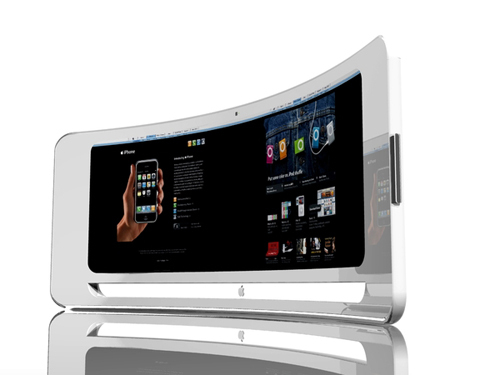 When fully unfolded, it stretches its wings to a display of 21 diagonal inches. 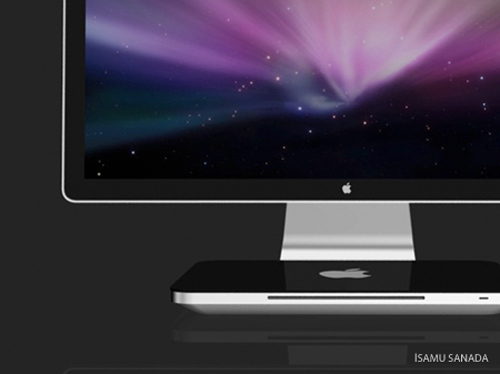 It features an 8X SuperDrive, an array of I/O connectors, and a MacBook Pro-caliber CPU. 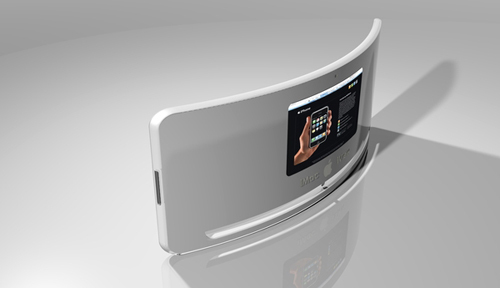 Features a double panoramic screen with a unique curvature. 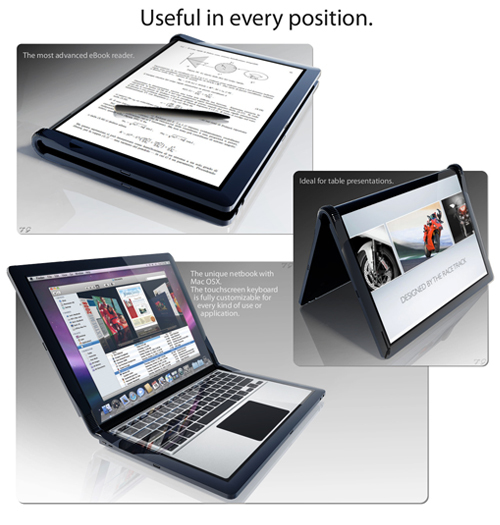 The backside of the screen also contains a smaller display perfect for colleagues and assistants to view your work. 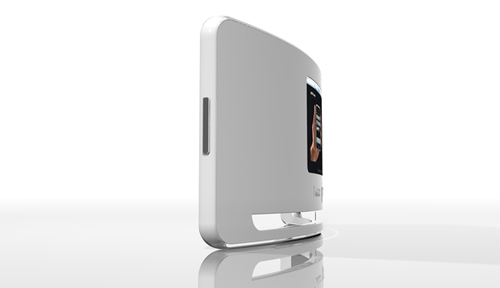 The image is provided via Bluetooth and their are two web cams situated on both the front and rear of the device. 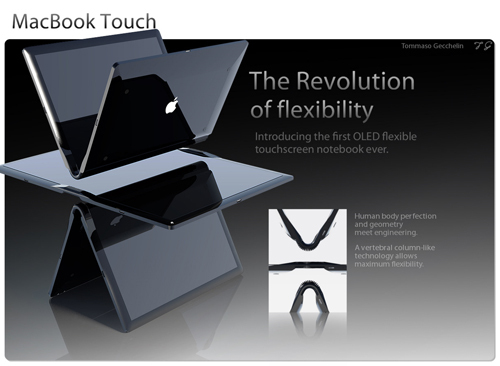 When folded, the MacBook Mini is just 5.4-inches thick. 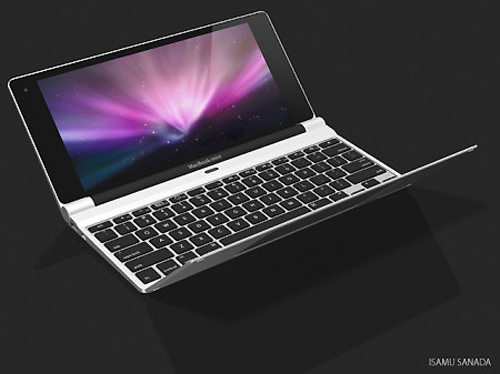 In its fully expanded state, the tiny laptop boasts a keyboard, trackpad, 10-inch LED display, and 128GB SSD — unfortunately there’s no optical drive according to the renders. You see that blue inner band? 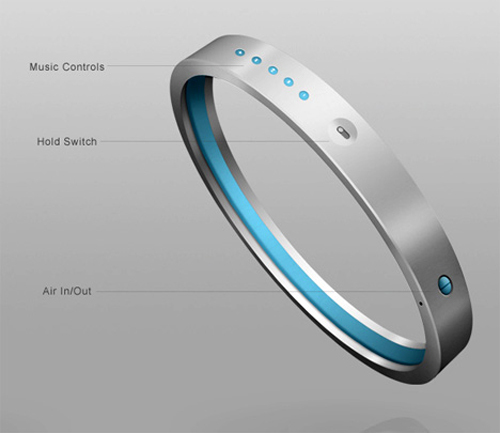 Push a tiny button on the side and it fills with air, expanding to fit snugly around your wrist. 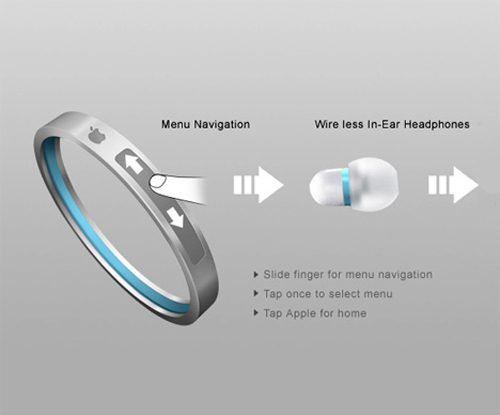 There’s a multi-touch track pad for easy navigation, and the audio finds its way to your ears via a couple of wireless earbuds. Alas, there’s no screen, but designer Gopinath Prasana figures you can navigate just fine with an audio-oriented navigation system. 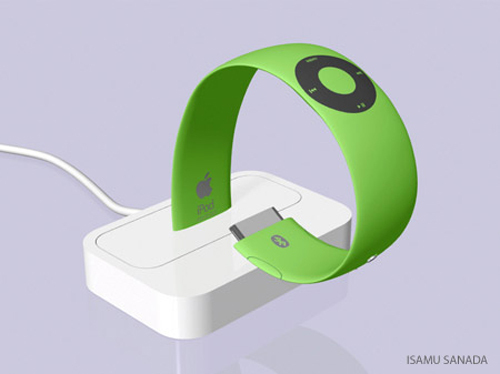 Although labeled an iPod, you can see by the display on the image that it also accepts calls. 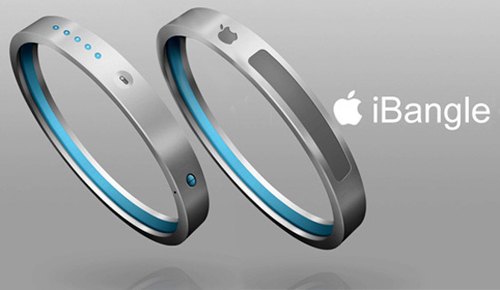 Not only does it have a nice appearance, but it also seems to come with a pair of wireless earbuds. 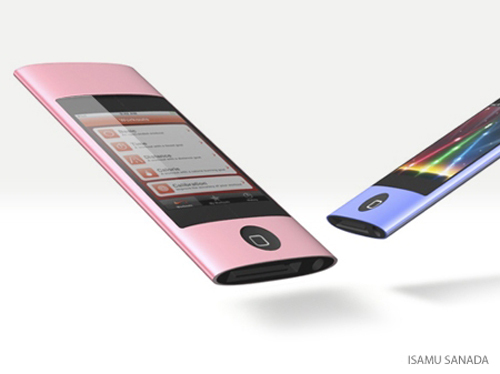 This iPod concept might be aimed more toward women than men. 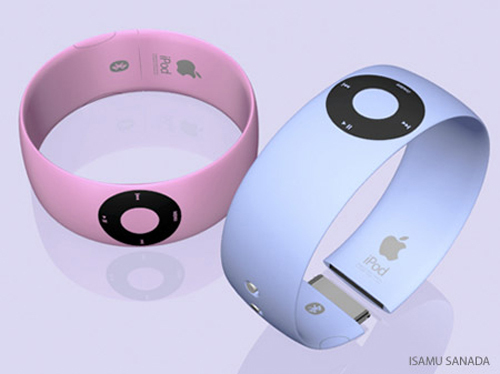 With it’s colorful design, it could be used to make a fashion statement or perfect for the music driven jogger. 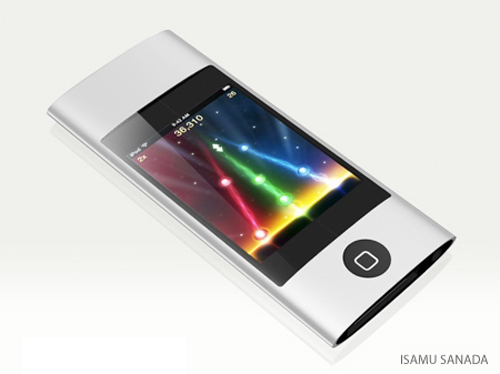 A new version of the nano mimics the iPhone with it’s touch screen display. I love the addition of the pop-in gaming controls, because we all know how hard it is to use directional controls on the touch screen. 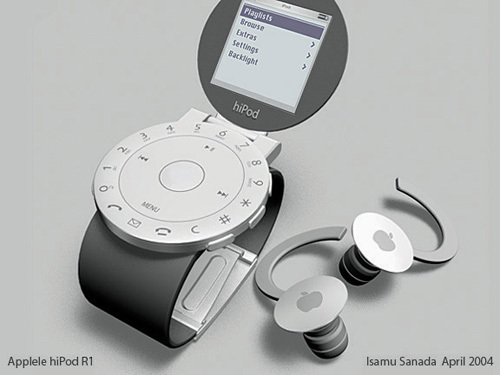 This concept features a watch styled iPod with a flip-up screen which cover the controls in the down position. It’s very stylish in my eyes, and the wireless earbuds compliment the design quite well. 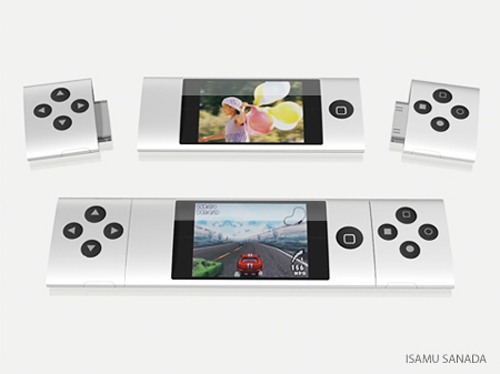 Dual sliding mechanism, SMP camera with 3X optical zoom and loads more. 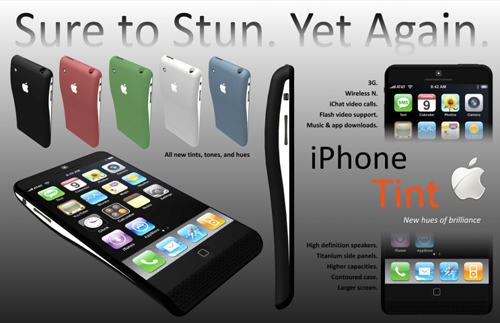 What does the iPhone Elite not have? 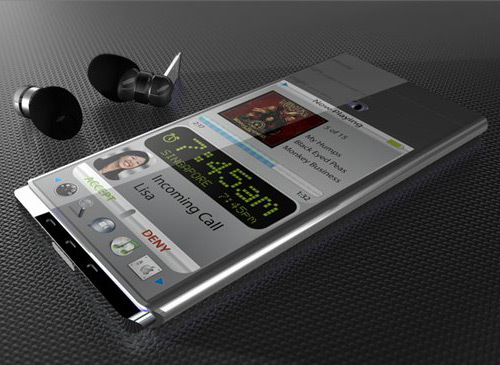 This iPhone concept takes the original design and gives it a stylish curve. 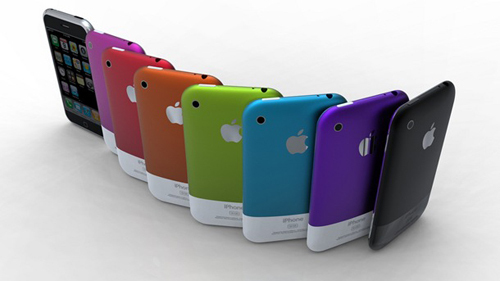 Same phone in a multitude of different chromatic colors. Since a case is almost mandatory, I doubt this concept will have too much of a chance. 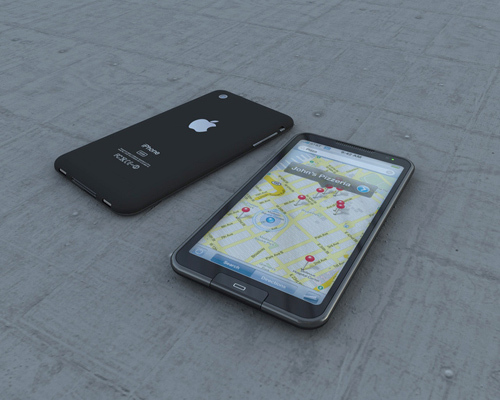 I love the flat black look on the back of the phone and the redesigned ‘Home’ button. 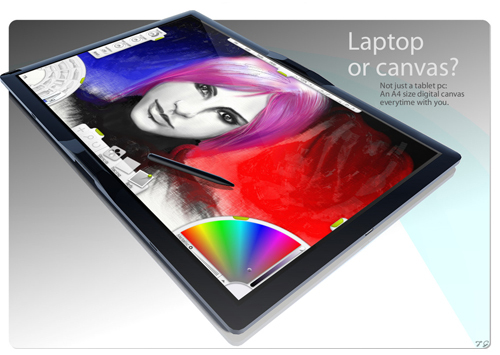 Flash video support, titanium side panels and a cool contoured shape. 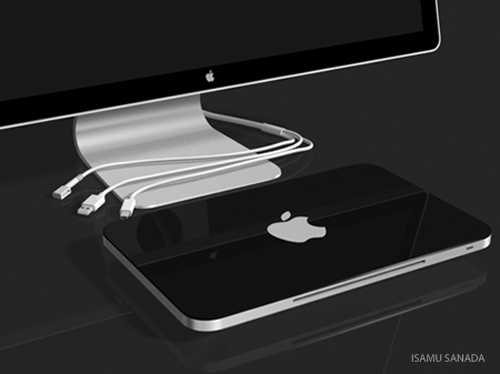 A very unique charging dock with a clear display underneath. 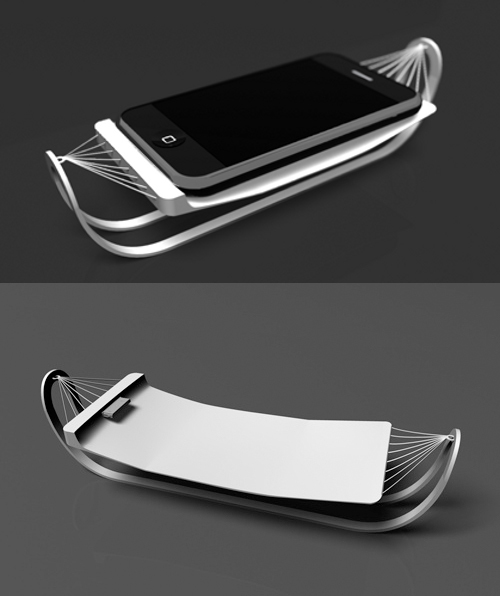 No more plugging in the phone with this idea. 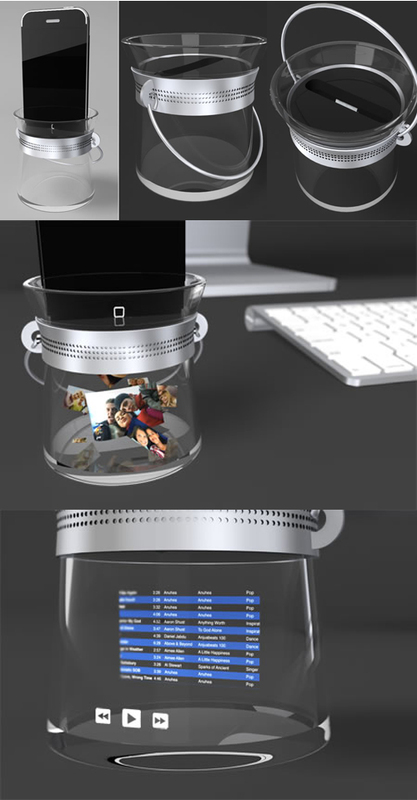 Another cool dock featuring a clear display. Well timed! 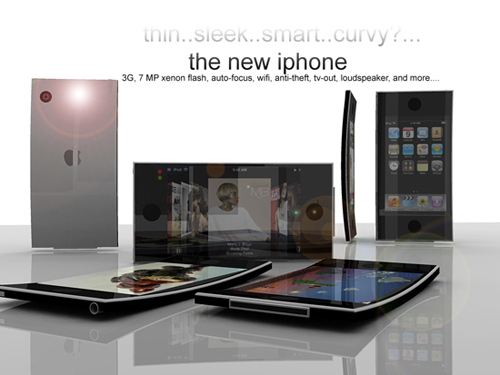 Some cool concepts here. Wow, just beautiful, pity they are only concepts … then again maybe that’s a good thing otherwise I would be very heavily in debt !! wow, really beautiful! 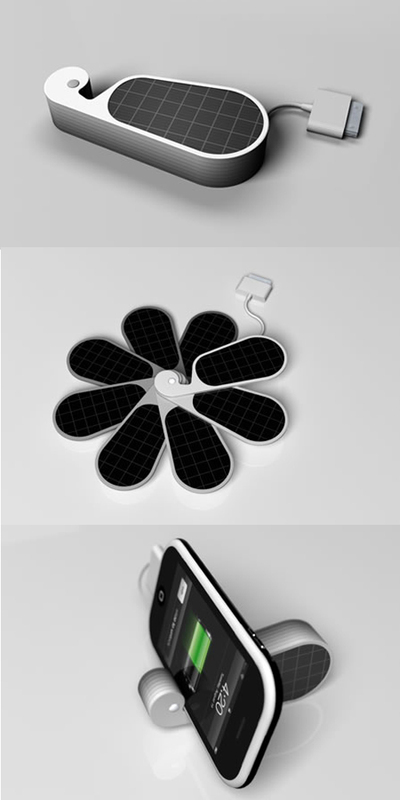 I’d be tempted to buy quite a few of those, iPetals first… really nice ideas!